I haven’t played much of Dyad, outside of a quick level or two. Its Tempest style gameplay is something I should enjoy, but generally don’t. It isn’t the first game to riff off of Tempest with a psychedelic style (that’s Jeff Minter’s wheelhouse), but it was the first one available on the PlayStation 3. 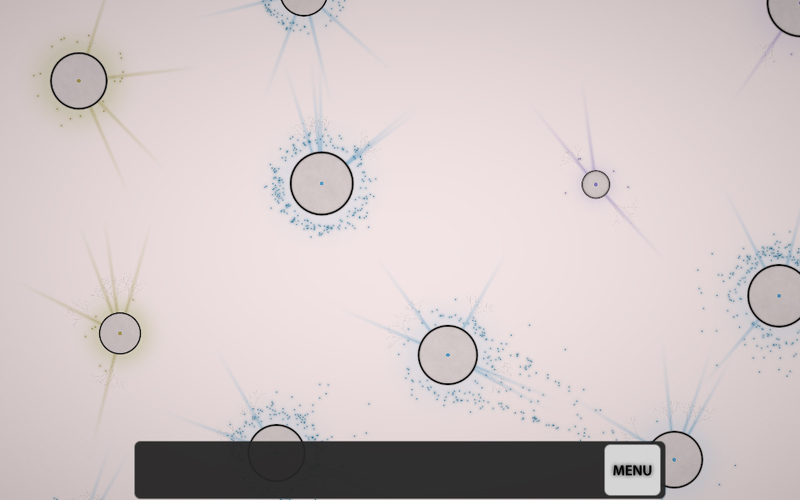 Controlling a particle, players slingshot through a tunnel taking inspiration from the Large Hadron Collider. Slingshotting and lancing through other particles extends one’s combo, and thereby score, which, at its core, is the name of the game. I’ll likely play this more, at some point. Dyad was developed by Shawn McGrath and published by Right Square Bracket Left Square Bracket. It was first available on PlayStation Network July 17, 2012, with a PC release following on April 24, 2013. Perhaps best of all though, is the PC commercial. The four detectives players get to play as. 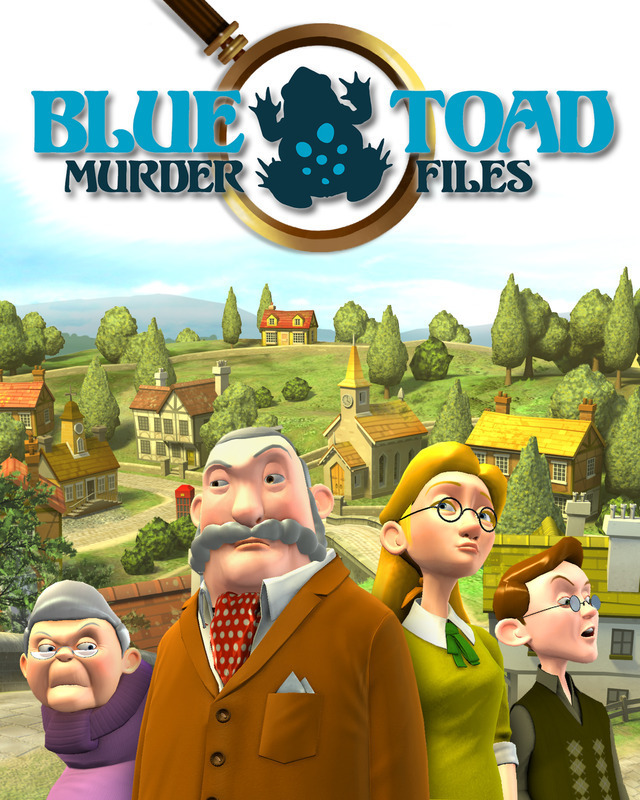 Blue Toad Murder Files in its entirety consists of six episodic downloads wherein one to four players assumes the role of a detective and solves crimes. 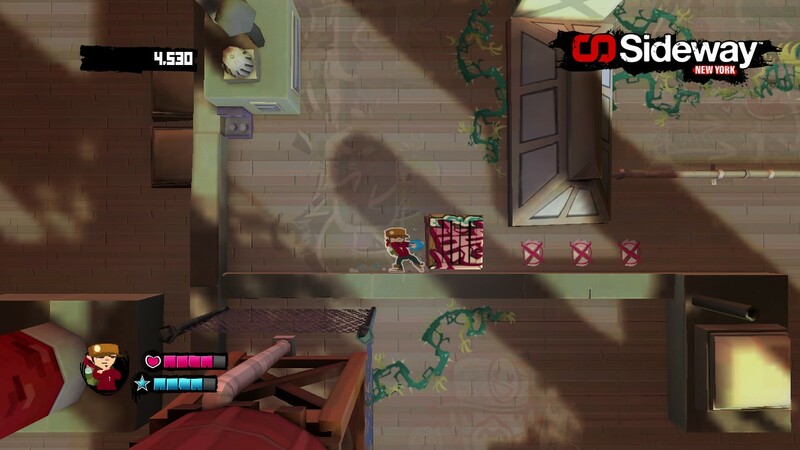 The first episode, Little Riddle’s Deadly Dilemma is available for free on the PlayStation Network and my friend and I recently played through it. Developed and published by UK based Relentless Software, Blue Toad Murder Files is a departure from what they’re known for: the Buzz! series. At the same time, they’ve used their experience and crafted a game that is fun with friends, cooperatively or competitively. Anyways, my friend and I soon witnessed the mayor of Little Riddle get shot and we began questioning the villagers attempting to find the culprit. Nearly every time we talked with someone they had a puzzle for us. We were supposed to solve these ourselves but we worked cooperatively. The puzzles reminded me of the ones I saw in Professor Layton and the Curious Village. Puzzles didn’t fall into one category and for all twelve of them we were asked to do something different. The difficulty was well paced and we had fun attempting to get the gold medal on each one. 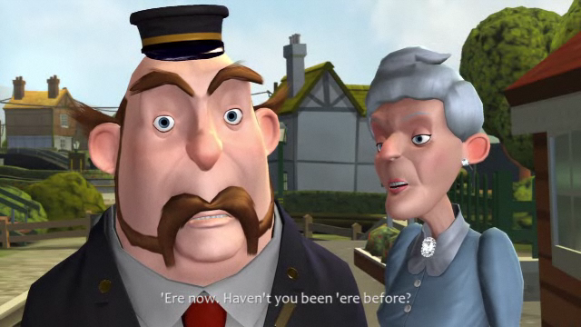 The old lady provides a memorable recurring event. Blue Toad Murder Files: Little Riddle’s Deadly Dilemma couldn’t be tackled in a free fashion; it was a guided adventure that gave us all the information it had and then tasked us with putting it all together and coming to a conclusion. I loved the setting and the character’s and dug the variety of the puzzles. It took us about an hour to play through and I suspect we might play through the rest. If that’s the case, expect another write-up over the game in full. I need to play Marc Ecko's Getting Up: Contents Under Pressure. So I wrote about Eufloria yesterday and the thing I’ll likely remember most about it is its minimalist art style. Directly after playing the demo for Eurfloria I tried the demo for Sideway: New York and its art style will probably be the thing I remember most about it, although it’s a very different art style. For some reason the character I played as was turned into graffiti art. In this state, he was confined to moving along the sides of buildings as he searched for a way back to his normal self. Confined as he was, movement was limited to a 2D plane, although I could walk on any surface I could get to. As you can see here, dude is on a rooftop. Progressing between different walls and buildings was very cool to watch. As long as there wasn’t something hindering my path, like a rain gutter, I could walk to different sides of a building, roof included. When I did this the camera would swing around and revert to a view from the side. Being able to walk like this also added a few puzzles based around gravity, thanks to multiple ways to get onto some surfaces. I came across a few different types of collectibles but didn’t pay much attention to what they were for. There were also enemies and this brought to light a problem I had with Sideway: New York. I didn’t like the amount of health my dude had; he would die very quickly. Another thing, because of the art style, it was sometimes hard to decipher what I was approaching. There was graffiti all around me, and unfortunately, the enemies and obstacles resembled non-interactive art when they were stationary. This dude's a different type of pusher. Those are minor gripes though; I could’ve taken it slower and paid more attention to my surroundings. I think Sideway: New York is a styling platformer. It looks really good in motion and the hip-hop soundtrack matched the game well. 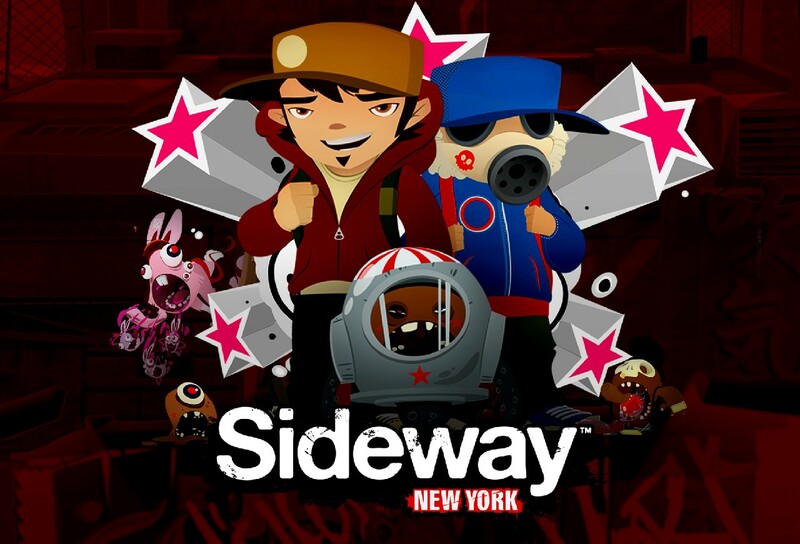 Sideway: New York was developed by Canadian based Playbrains and published by Sony Online Entertainment. It was released on PSN on October 11, 2011. Peach Nehi is pretty good. 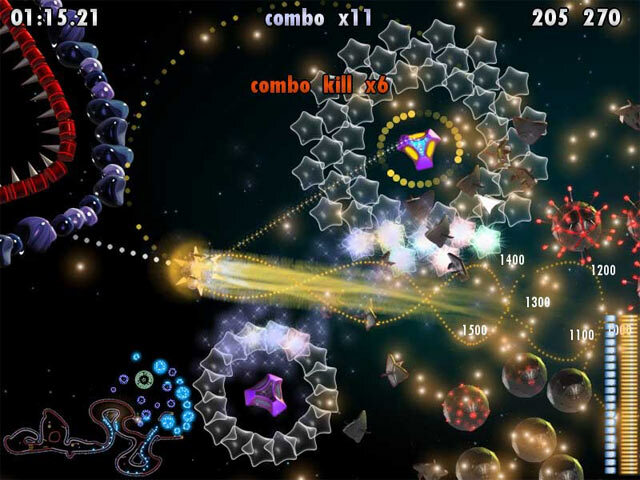 Originally released on the PC in 2009, Eufloria is a real-time strategy video game developed by Alex May and Rudolf Kremers, with Brian Grainger composing the soundtrack. I’m writing about it now because it was published on PSN earlier in the month by Omni Systems Limited. Eufloria’s visuals and soundtrack are minimalist and relaxing, contrasting the seemingly violent nature of the gameplay. I controlled seedlings and moved them from asteroid to asteroid conquering them and any enemies in my way. After a little research however (see: Wikipedia) I found out the game is based on a scientific theory of planting trees in space. A broad look at a stage. I played the demo for Eufloria and was immediately struck by the art design. All that was noticeable was a few round asteroids populated by small red flying seedlings and a tree or two. This was all set on fluorescent light bulb-like background, not space. The soundtrack gelled with the art design; it was sparse and calming with an occasional pickup in tempo and volume. There were a handful of stages in the demo and I always began with at least one asteroid under my control already. My objective was to branch out and spread my seedlings far and wide. To get more seedlings I planted trees on the asteroids, which required ten seedlings, but these trees produced seedlings. These stages contained at most about ten asteroids so it wasn’t tough work, I’d just amass a large cadre of seedlings and move them around. I did encounter enemies in the form of diseases. They looked just like my seedlings, only gray. They operated the same way so they had asteroids under their control to. To overcome my enemies I’d gather a large group of seedlings and overwhelm them by sheer number. This was a simple solution but it didn’t require much strategy. The final stage in the demo was tougher and led me to believe I wouldn’t always be able to win by numbers. Something I didn’t consider was the stats of each asteroid. They had unique strengths revolving around energy, strength, and speed. This asteroid has a lot of activity. It wasn’t hard to grasp what I needed to do in Eufloria so I was dismayed by how slowly the game moved, even with the speedup button enabled. Then again, I didn’t implement much strategy, opting to steamroll my enemies. That probably wouldn’t be a viable solution for the entirety of Eufloria, hopefully at least. I was impressed with the relaxed nature of the visuals and the soundtrack, and I enjoyed the simple strategy gameplay, but I’ve had my fill of Eufloria. 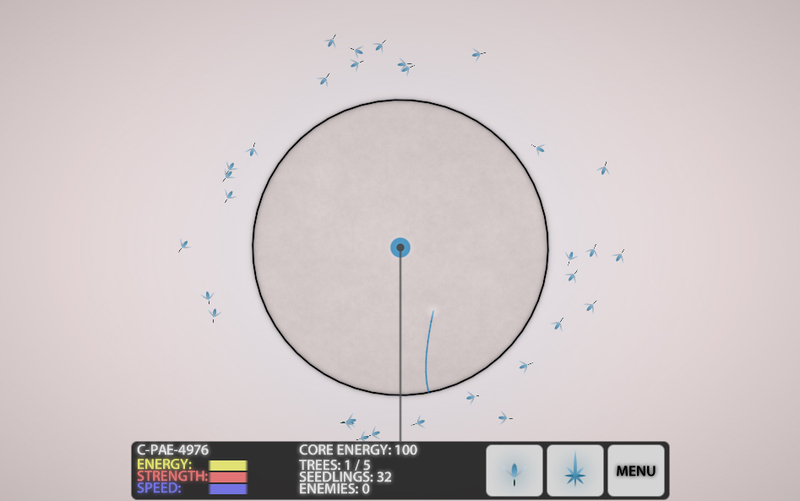 StarDrone is also available on the PC, and maybe the iPad and Mac. 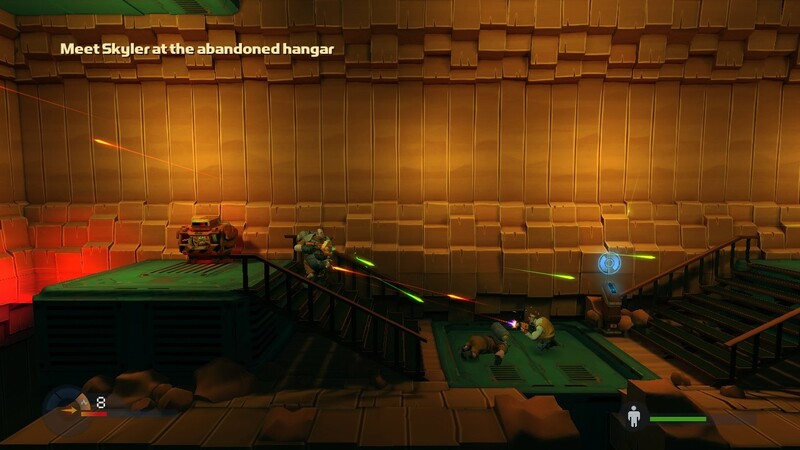 A self-described action/puzzle video game, StarDrone was released last week on PlayStation Network. StarDrone was developed in Ukraine by Beatshapers and published by TastyPlay.com. I don’t think the game is worth the eight dollar asking price; then again, you can download it on the PC for three dollars. StarDrone presented ten stages for me to play through in the demo. I controlled an orb that floated through space randomly but I could “attach” myself to other orbs’ gravity and propel myself in other directions by circling them and letting go. Set on top of a backdrop of stars, each stage was a confined area that was full of orbs and collectibles. My objective varied between the stages, but they all revolved around collecting something. I navigated around each stage collecting what I needed to and it was pretty easy, although my feats were never good enough to be granted anything better than a silver medal. Towards the end I was introduced to enemies and walls with spikes. The enemies weren’t troublesome, but the spikes turned one stage in particular into a challenging test of timing. I wasn’t too impressed with StarDrone. The stage design was interesting; I didn’t feel like I was traveling the same path twice, then again, collecting objects didn’t present much of a challenge and I found the game boring. StarDrone supports the PlayStation Move so that’s cool I guess, but I’m indifferent about the game. I don’t go to the movies that frequently but the past couple of times I’ve gone, I’ve seen previews for Real Steel and I couldn’t be less interested. The movie is set in the future where, for whatever reason, robot boxing is super popular. To get their fix, people remotely control robots and watch them duke it out, like Rock’em Sock’em Robots. I find the premise silly, but some reviews have said it’s a pretty good movie, but whatever, I personally don’t find it interesting. To tie in with the release of the movie, a boxing video game has been released. 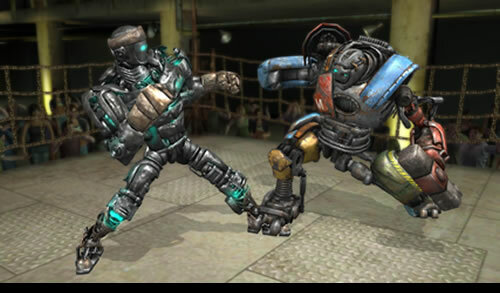 Real Steel was developed and published by Yuke’s and was released last week on Xbox Live Arcade and PlayStation Network. Yuke’s, a Japanese developer, has been around a long time and wrestling games seem to be their wheelhouse, so developing a boxing game probably wasn’t too much of a far cry for them. A demo was released for the game and I checked it out. All I had access to was the multiplayer, where I could play against someone locally or fight against the computer. There were a handful of robots to pick from and they looked unique, although I’m not sure how differently they controlled as I only played as Atom, the robot from the movie previews. I wailed against my robot opponent until he hit the floor. He had ten seconds to get back up before I got the win. I knocked him down a few times before I finally got the KO and I played a few more matches. I forgot to mention you can customize your robot. 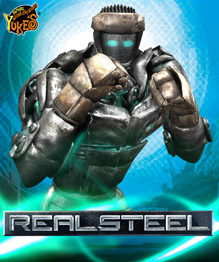 I’m not familiar with boxing video games but I didn’t have major complaints with Real Steel. The face buttons consisted and light and heavy punches, one for each arm, and I could block and sway with the triggers. I could also do a powerful attack when I held the right shoulder button and pressed a face button. I had a power meter that would deplete and fill up, so I had to keep this in mind. It doesn’t seem likes there much to the game, a very basic single player mode and multiplayer, and I really wasn’t wowed by the game, so in the end, like with the movie, I’m not that interested. There was a song in the demo that made use of synthesizers really well. It evoked discovery. 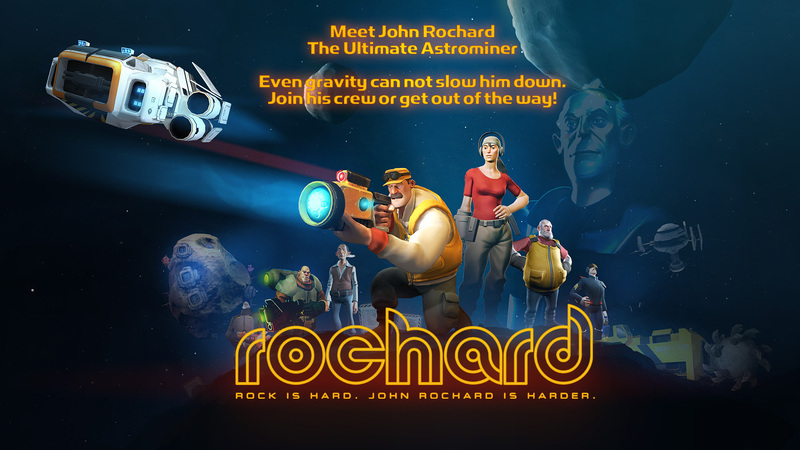 Rochard is a recently released platformer that includes puzzle solving revolving around gravity. With the aid of his G-Lifter, John Rochard can pick up and shoot objects. As John Rochard I was also able to affect the level of gravity around me, utilizing low gravity for many things. I played the demo for Rochard and got a feeling for the game’s story and gameplay. John is an astro-miner for Skyrig Corporation. He leads an unproductive team, the least productive within the company in fact. The demo opened up with John returning to his team. This intro video featured a cool bluesy song while John was flying back. The soundtrack was actually composed by Markus “Captain” Kaarlonen, which if you’re like me doesn’t ring a bell, but he is a member of the popular Finnish rock band Poets of the Fall. Once he landed, I gained control of him. I could only walk to the left and the right meaning Rochard is a strictly side-scrolling game. However the areas I played through had a lot of depth; everything looked nice too. The character’s were cartoon-like and the garments they wore, like the stages, had depth; I could notice John’s vest rising over the rest of his clothes. The dialogue was funny; it garnered a chuckle from me whenever John first ran into enemies. Another star to add to Rochard’s credits is Jon St. John providing John’s voice. Jon St. John is probably best known for being the voice of Duke Nukem. Knowing where my object would land when I shot it was super helpful. During the demo the crew made a great discovery, one that pleased Skyrig’s president very much. The demo never told me what I had found, but I suspect it’s related to ancient aliens as per the game’s website. The following day, a group of bandits breaks in and begins wreaking havoc. But John wasn’t defenseless. John has a G-Lifter and this factored into everything I did. Using the G-Lifter was simple. After picking up an object, it stayed in my G-Lifter’s beam. I could aim with the right analog stick and a series of arrows would appear showing me the trajectory my object would travel. By picking up crates I could use them as a shield and a weapon against my foes. More importantly, I needed the G-Lifter to solve a handful of physics-based puzzles. Tying into many of the puzzles was John’s ability to trigger low gravity. About halfway through the demo I reached a gravity generator, once I fixed it I could trigger low gravity whenever I wanted by pressing L1 or L2, I forget. I had to manipulate gravity from here on out and I came across at least one puzzle that had me stumped for a couple of minutes. I got an upgrade for the G-Lifter that allowed it to shoot bullets. Very helpful. The story seemed lighthearted and the graphics were pleasing. The gameplay is where Rochard shined though. The mechanics were simple to grasp and fun to implement in the puzzles. I hope the difficulty amps up slightly over the course of the game. But for ten bucks it seems like a good deal. 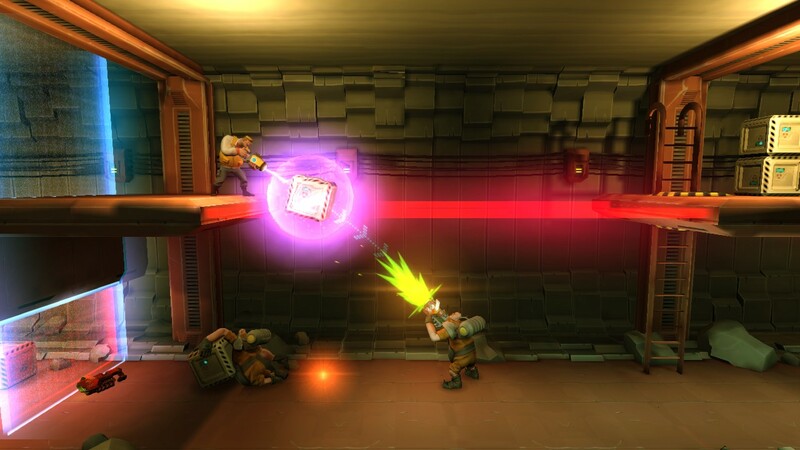 Rochard is the first game developed by Finnish game developer Recoil Games. It was released on PlayStation Network last week, published by Sony Online Entertainment.